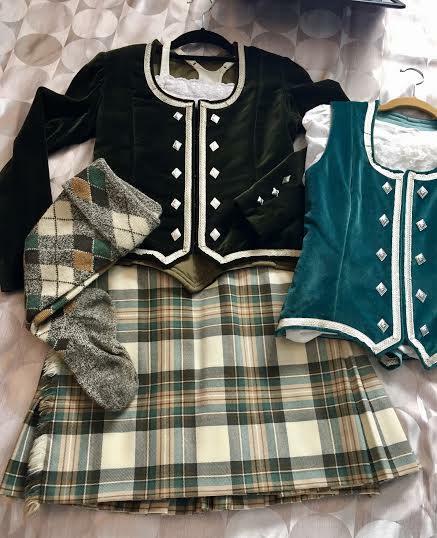 dance.net - Unique Kilt Outfit with Jacket and Vest (teen or adult) (10245327) - Read article: Ballet, Jazz, Modern, Hip Hop, Tap, Irish, Disco, Twirling, Cheer: Photos, Chat, Games, Jobs, Events! This kilt outfit always stood out on stage and we always had wonderful comments about it. It is Dress Green Glenmore tartan. Measurements taken across front while laying flat. Please let me know if you need any more pictures or measurements. Heel to top of cuff- 17"
Asking $750 +shipping from Newfoundland, Canada. hi what is the round waist measurement? Hi there, I have a friend who might be interested. I will show her the post and get back to you. Any idea how much postage might be to Ontario? I got a 26 for the waist but it can go smaller or larger as well. I'm unsure of the cost of postage. If interested I'm sure I can get a quote. 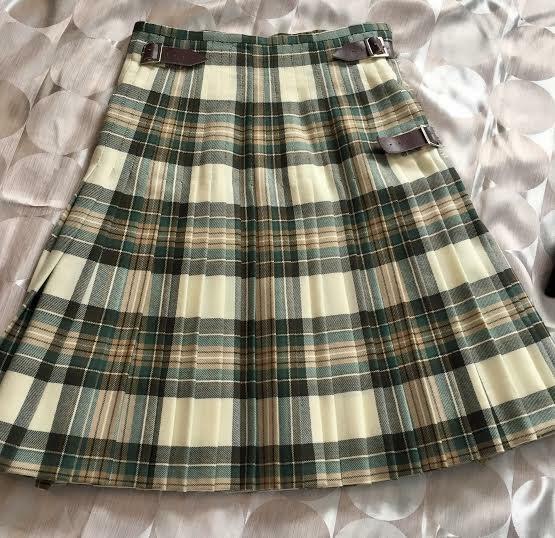 Hello, would you be willing to sell the kilt and hose separately? If so, how much would you ask for these? I would rather sell the outfit as a whole but I will consider selling it separately if there isn't much interest. Thanks, keep me posted. We are looking for my son, therefore we don't need the vest or jacket.